The dedication Mass of the Cathedral of St. Augustine. 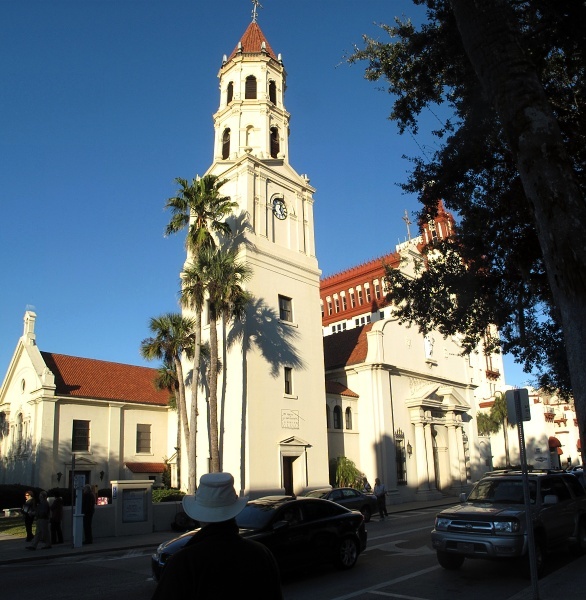 The Cathedral of St. Augustine, now officially named the Basilica-Cathedral of St. Augustine, and informally known as Cathedral Parish, was, since its inception in 1565, the social and religious center of St. Augustine. It served the same purpose during most of my growing up there. It's probably hard for a modern, non-church-goer to imagine how central a church was for the church-goer of years past. Even the church-goer of today would be hard put to understand how all-encompassing the village church was in the Days Before Cable. In 1565, St. Augustine was almost entirely isolated from the rest of the world. Not only was the village church the spiritual center of the place; it also served as the cultural center. It was there that liturgical music was played and occasional morality plays presented. Secular entertainments were discouraged, so people bored with their own, humdrum lives (not to mention the heat, humidity and mosquitoes) flocked to Mass and to other presentations that were all that passed for entertainment. Don Pedro Menendez de Aviles, on mission to secure Spain's claim to La Florida (and to throw out that French upstart Jean Ribault from his "Fort Caroline" at what is now Jacksonville), first sighted land on August 28, 1565. That was the feast day of St. Augustine of Hippo (who, by the way, believed in reincarnation and wrote about it in his books) so, by tradition, Menendez named the town San Augustín. In English, the name "Augustine" is normally pronounced ah-GUS-tin. In Spanish, it's ah-gus-TEEN. When English speakers replaced Spanish-speakers, the Spanish pronunciation of the town was retained even as the spelling was replaced. The Cathdedral building as it looked in 1897, after the 1888 rebuilding. It wasn't until 1793 that the cornerstone of the present Cathedral was laid. That original church was completed four years later. 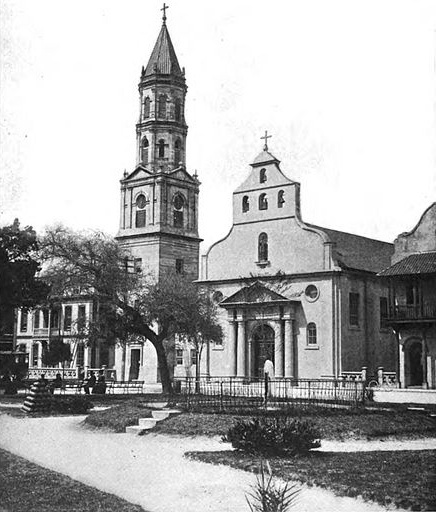 Almost a century later, in 1870, the Diocese of St. Augustine was formed, with that church named as its base or "cathedral". A fire in 1887 destroyed the church interior, though it left the walls and facade standing. In 1888 it was rebuilt, with the "wings" that gave it its cross shape (as seen from above) added. So in 1965, St. Augustine's quadricentennial, the Cathedral was actually less than 80 years old. Nevertheless, it was deemed ready for "restoration and renovation" and was closed in 1964 for that purpose. The old Lyceum building, sharing grounds with the Cathedral Parish School I attended, lent its theatre to serve as an interim church while the renovation proceeded. 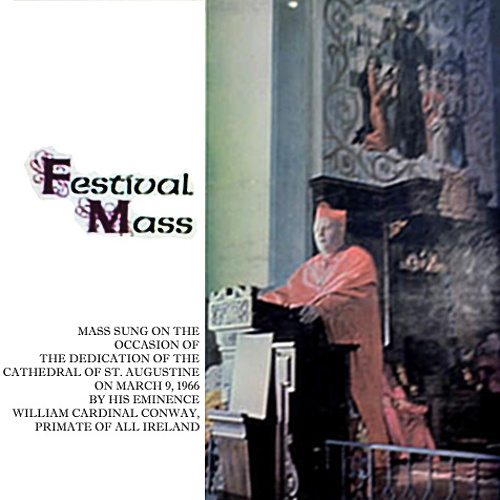 Mass was said on stage; an electronic organ was mounted in the balcony. It was on those walks that I discovered Tab, the diet soft drink. It had been released the previous year, but because of its awful taste I avoided it. So did millions of other people, I suppose; so the Coca Cola company reduced its price to a nickel. That price was within my budget, so half-way through my walk, when I reached the 7-Eleven, I'd stop and pick one up. By the end of the summer, I'd been hooked on the weird taste. When I got to the Lyceum/church, I'd head straight for the balcony and the organ. I didn't know how to play keyboards by note but by ear I'd worked out most of the hymns we typically sang. I didn't ask permission but there was no one in the balcony and I appointed myself Tuesday morning organist. No one said anything but no one complained either and no one locked the organ, so I continued playing each Tuesday until the summer was over. When school resumed, I was now a freshman in high school. 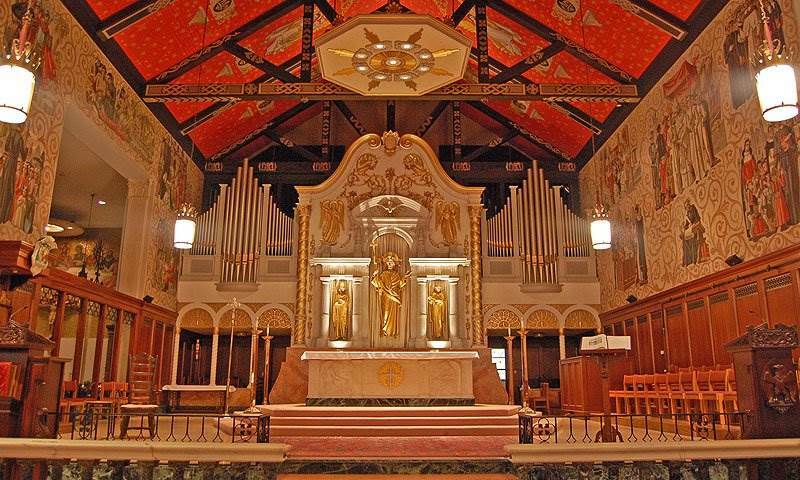 It was Sister Mary George who led the choir; and we began almost immediately to rehearse for the High Mass that would, the following May, celebrate the consecration of the newly-renovated Cathedral of St. Augustine. The Cathedral as it looked circa 1965, as the renovations were going on within. The building to the left of the cathedral was the priests' rectory. For that special occasion, Archbishop Hurley had commissioned famed church composer Alexander Peloquin to write a mass. It was the most ambitious piece of music the choir had ever attempted, even the older members; and we were to sing it with choirs from Boston and Jacksonville, and an orchestra. I'll never forget the music. (In fact, I still have a copy of the vocal sheet music.) It freely wandered from 2/3 time to 4/4, so often that the measures weren't even marked: You simply had to count the number of quarter notes to determine which time that measure used. It was so unusual that I overheard Sister St. George remark to the organist, Mary Kay Murphy, that it sounded as if it had been written by Gershwin with a touch of Ravel. In 8th grade, I had no idea who either of these people were. But in the music cabinet of the choir room, I found a three-disc 78 rpm album of Gershwin's An American In Paris. I received permission to borrow it, and listened to it repeatedly at home, where it quickly became my very favorite piece of music. The dedication was to be held Sunday, May 9, 1966. We had a dress rehearsal on Saturday, which means those of us in the choir got to see the newly-renovated building before anyone else. The differences were amazing. Probably most startling was the elaborate altar, with its built-in statues and cubbies, which had been painted in dazzling white and brilliant gold, making it look brand new. The stained glass windows sparkled; all the old, pitted stone walls had been plastered and painted. Somehow, the place had been made to look brand new without losing its dignity or feeling of being old. The adult and high school choirs were posted downstairs, near the altar, I believe. I'm not sure because the choir loft was located behind the altar; and we couldn't see what was going on below. (There were openings on either side of the altar, and the loft was designed acoustically so that the choir would sound as if the music were coming from the altar.) Mary Kay Murphy, for years the church organist played the new, multi-keyboard, electronic church organ while the orchestra played below. We could tell by the noise that throngs of people were arriving. I knew my mom and grandparents were dressed to the nines and I assume everyone else was, too. There was a sense of history, and of being a part of history, that I've never forgotten. The Mass seemed to go on forever. I'm certain it lasted at least two hours, possibly three. One problem was that Communion was offered and I'm sure everyone in the nave of the church received. Then there was the mass we sang, with attendant hymns and other sacred music, which took time. Afterwards, we were able to buy LP records of the music from that ceremony. Copies must have been purchased by nearly everyone on St. Augustine. Since we'd learned Peloquin's mass, it was performed through the coming years every few months by my high school choir of St. Joseph Academy. I could find no evidence on the Internet that anyone else ever performed it, however, which is a pity because it was (and is) an impressive piece of music. Unfortunately, the recording that we all bought didn't really do justice to the music. The sibilants were mostly lost in the echo, making some words hard to make out. And the entire recording was made at a low volume, so that the surface noise of the record drowned it out at times. And, of course, it was recorded in monaural. Fortunately, with the aid of digital technology, I've been able to address a lot of these issues. If you'd like, you can listen to or download the enhanced tracks from this album below. In subsequent years, I was married in the Cathedral; as were both my sisters on their first marriages. (Of course, all three of us chose other venues for our subsequent marriages.) 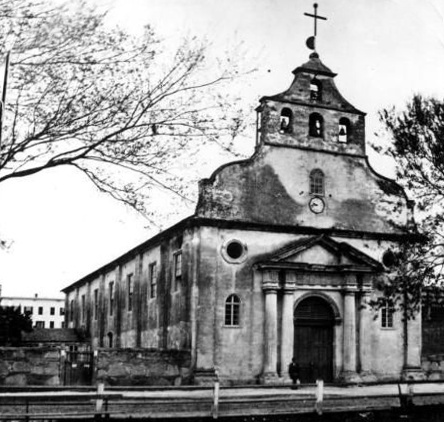 But I still have fond memories of that great old building, still the spiritual focus of Catholics in St. Augustine.